With new streaming services in the works, Disney is trying to set itself up for a future that's largely been framed by Netflix: Providing the stuff you want to watch, when you want to watch it. "They're bringing the future forward. What they talked about were things that looked inevitable, at some point," said Pivotal Research Group analyst Brian Weiser. What's less clear is if Disney will be able to make big bucks from it, he said. This is important as the decline in cable households and the shift to smaller, cheaper bundles pressures the profitability of Disney's cable networks. Fewer subscribers and fewer viewers mean less money. In the nine months through July 1, cable networks' operating income fell 13 percent from the year before, to $4.12 billion. Starting in 2019, the only subscription streaming service with new animated and live-action Disney and Pixar movies will be the Magic Kingdom's own app. That will include "Toy Story 4" and the sequel to the huge hit "Frozen." Older movies will be there too, as well as shows from the TV channels Disney Channel, Disney Junior and Disney XD, and original TV and films. That could be hugely attractive for families with young children in the U.S.
Disney is ending an exclusive earlier movie deal with Netflix, and the streaming giant's shares tumbled in after-hours trading. Netflix today has grown into an entertainment juggernaut in its own right, however, as it focuses more on its own exclusive programming. The Disney service will be available in "multiple markets" outside the U.S. as well, taking advantage of Disney's global name recognition. Disney had already said it would be launching a streaming ESPN service. It's not meant to compete with the company's TV channels. The sports service is coming in early 2018, a little later than previously announced, and will air baseball, hockey and soccer games, tennis matches and college sports through ESPN's popular mobile app. Notably, ESPN will not be streaming pro football or basketball, at least initially. "Ultimately, we envision this will become a dynamic sports marketplace that will grow and be increasingly customizable, allowing sports fans to pick and choose content that reflects their personal interests," Iger said on a conference call with analysts. Disney will have to be careful that it doesn't transfer too much sports programming from its TV channels to the app. Getting the balance wrong could upset cable companies and weigh on the price they pay Disney for ESPN, Weiser said. The acquisition and the new services will be "an entirely new growth strategy" for Disney, Iger said. 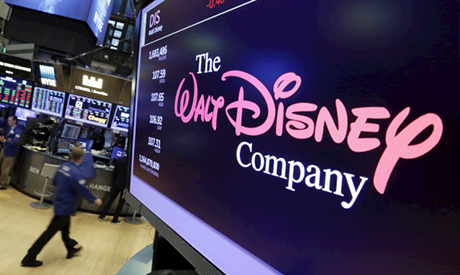 The new streaming services will likely "accelerate the erosion" of Disney's TV networks, especially if other major cable networks make similar moves, said Moody's analyst Neil Begley. But Iger argues that BAMTech gives Disney "optionality" if the cable ecosystem changes further, Iger said on a conference call with analysts Tuesday. If there's greater "erosion" — say, if more people drop cable bundles or choose cheaper bundles without key Disney channels — the company has more ways to get its entertainment directly to customers, Iger said. But having a direct relationship with customers tells Disney exactly what they're watching, giving it powerful tools and information that could help feed decision-making and, on the sports side, sell advertising.